This wedding we wold like to talk about has a long story but this couple will stay in our heart for long time. Alina Elena and Marco decided to plan their wedding for 2011 but they needed to post pone it a little and hold it in May 2012. We planned their wedding for about one year and a half and we surely developed a lovely relationship with them. Alina Elena comes from Romania and Marco is Italian. 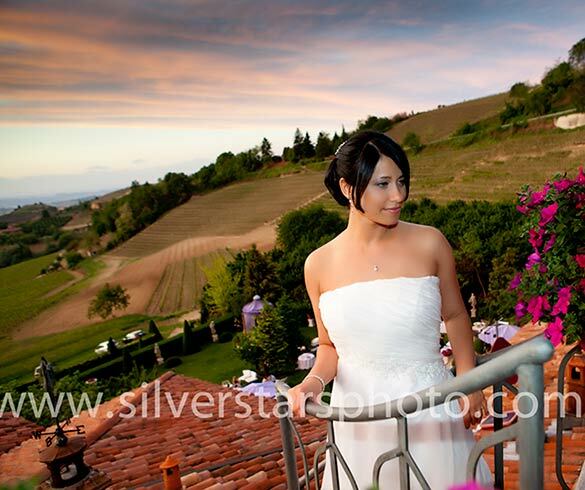 They both live in Italy and wanted to plan a romantic wedding in Piemonte countryside. 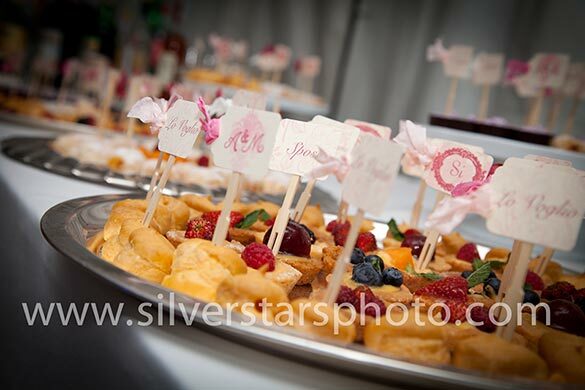 Every detail was planned carefully according Alina Elena’s tastes. 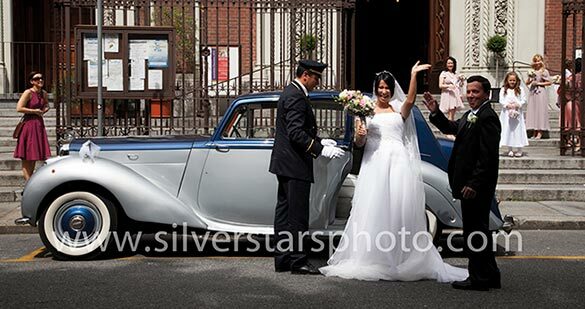 Bride reached the church on a wonderful Vintage Bentley like a real modern princess! 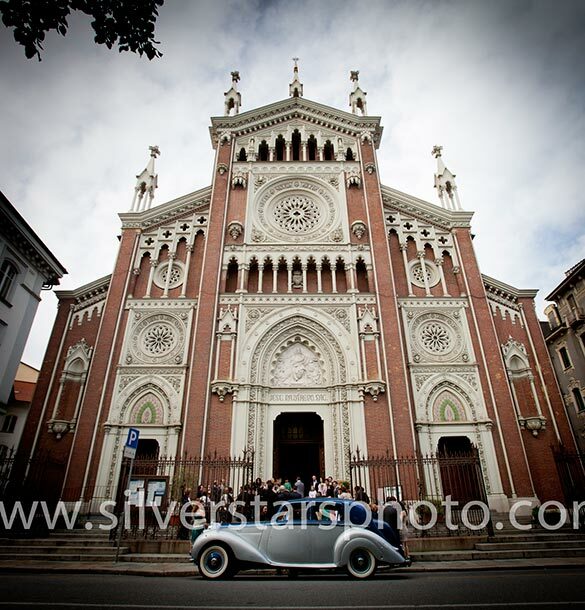 Alina Elena and Marco opted for a Catholic ceremony in their parish church in Torino. 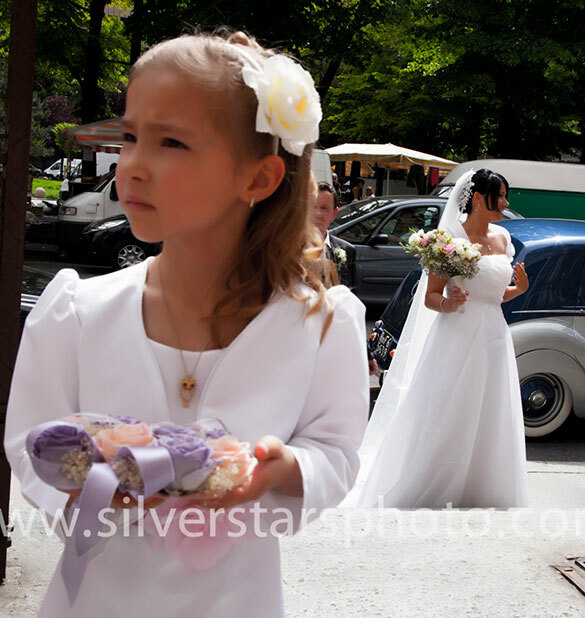 Italian parish priest conducted the ceremony. Church was wonderful! 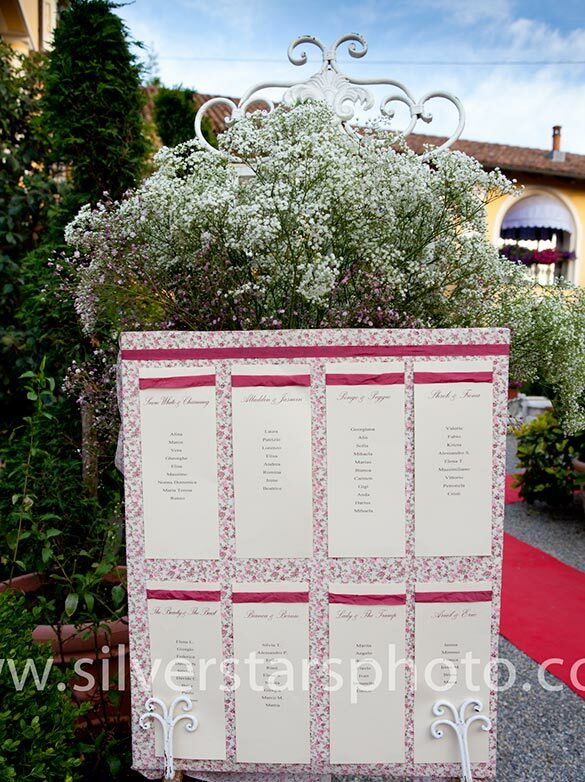 It was decorated with lots of baby’s breath, vases and candles, Alina Elena’s favorite decorations! After the ceremony and lots of group pictures guests moved to the reception villa. Alina Elena and Marco took the chance to have some more photos in the countryside. A wonderful frame, warm sun and beautiful couple. 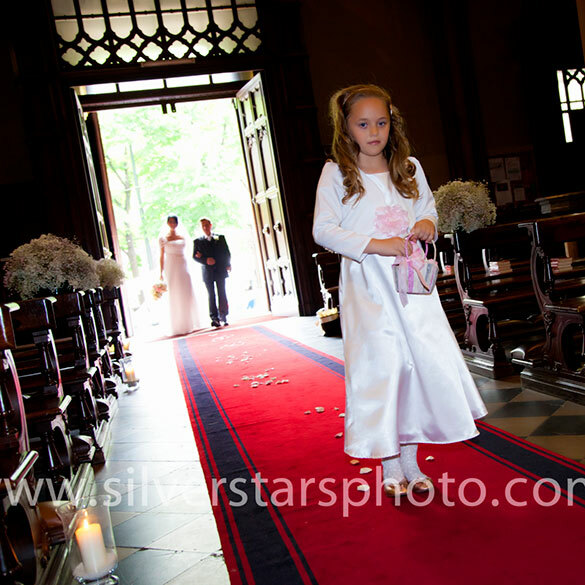 SilverStars photography Team did a very good choice indeed! Thank you guys for this wonderful shots. We’ve already talked about this special villa in Piemonte countryside in occasion of Jerri and Tom’s wedding and some other events. 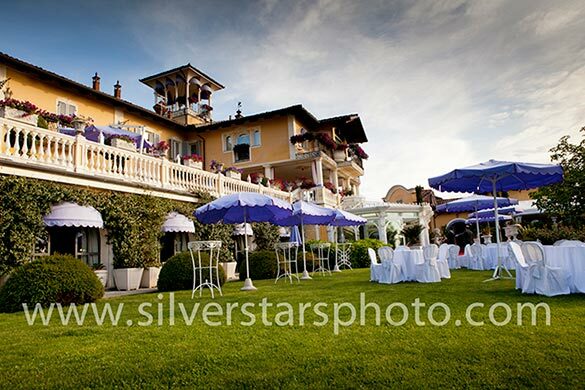 It is an amazing reception venue! 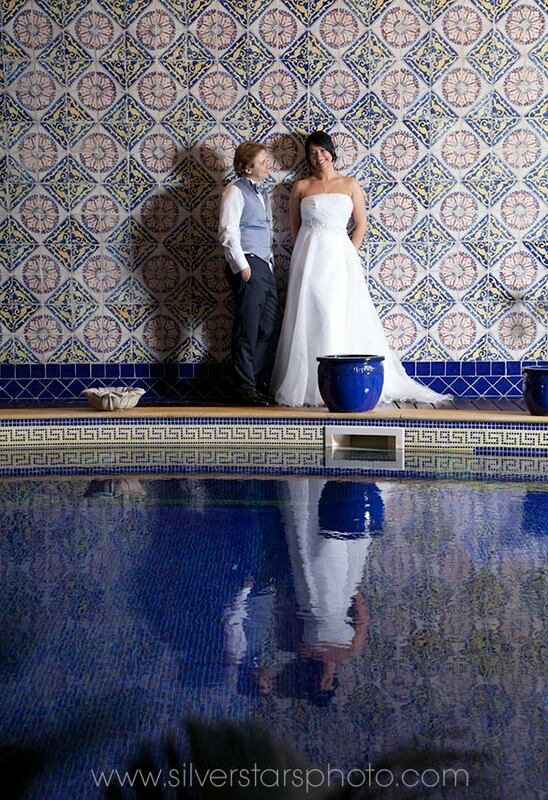 All guests were simply amazed by its beauty. 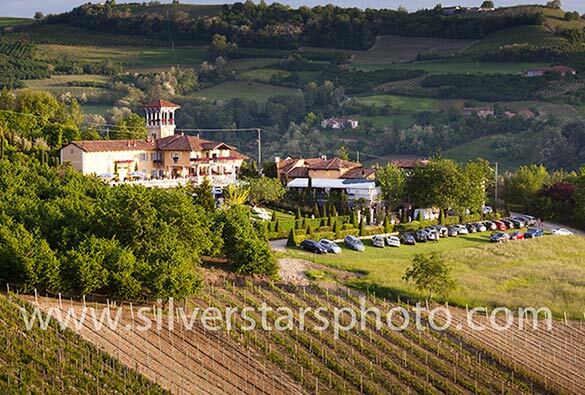 It is immersed in an amphiteather of vines and has a stunning view on the hills. Skillful catering staff planned a delicious aperitif in the garden. 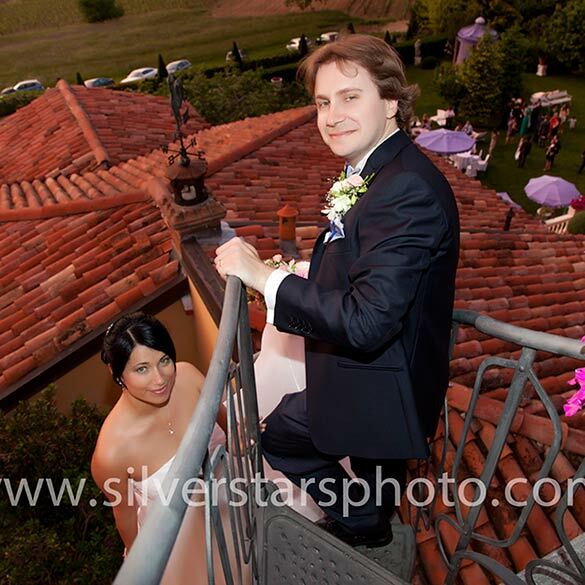 Alina Elena and Marco reached the villa to enjoy it too and take some more pictures at sunset and from the tallest point of the venue….the little tower! Can you imagine a better view? There was also a fun Polaroid corner. Marco’s vintage Polaroid made its day! 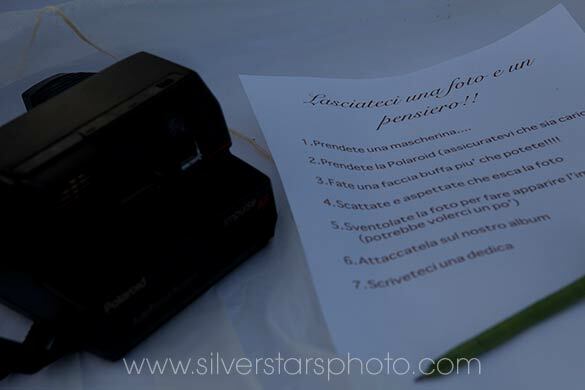 With funny booth props all guests took their polaroid pictures to stick on the guest book…a great funny idea! Alina Elena wanted some extra pictures in the stunning swimming pool of the villa and we can say she has a real gift….a born model! Dinner was served in the chandelier room. This room as a real special appeal. 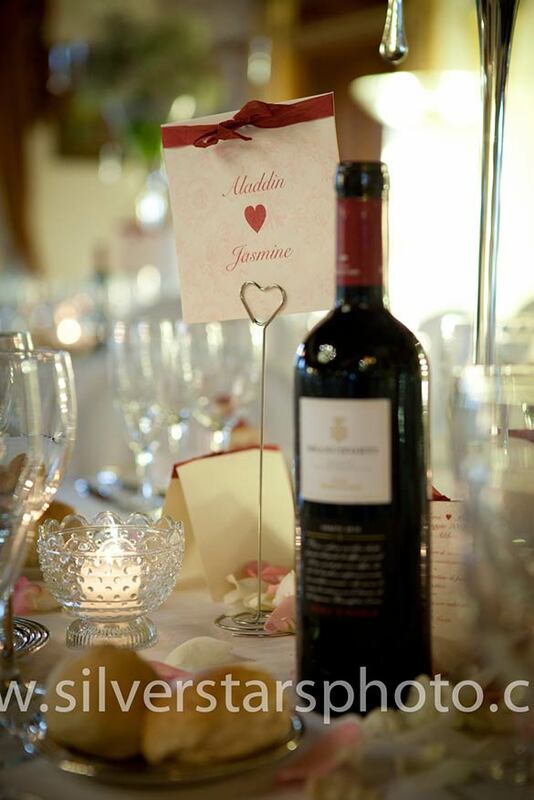 It is elegant and charming and a perfect frame for an elegant reception. 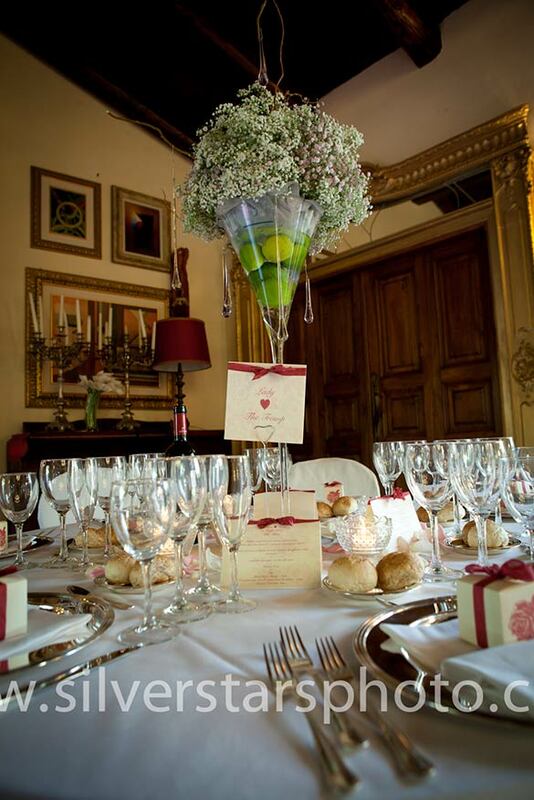 Round tables had wonderful tall vases with baby’s breath and crystal drops on top while wedding stationary was created by The French Etiquette. 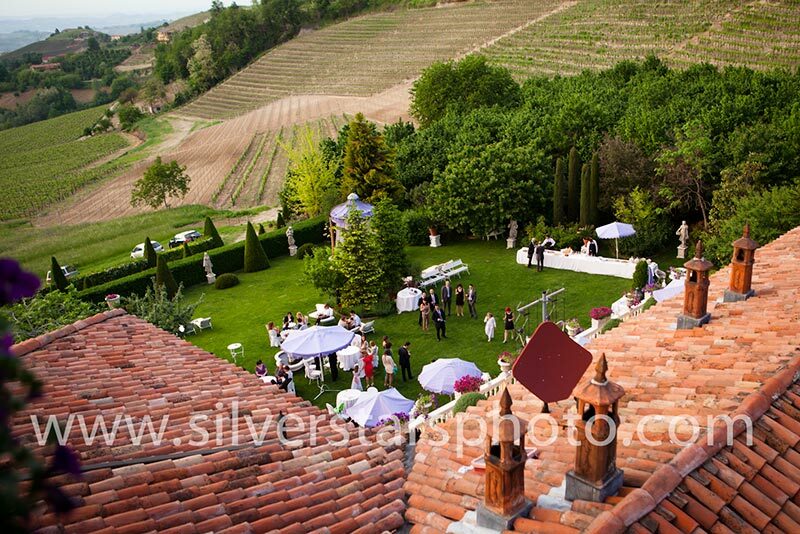 After the dinner the party moved in the garden of the villa again for the wedding cake. 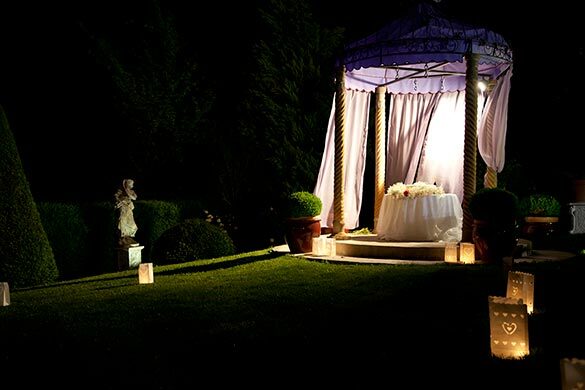 We decided to plan it under the lilac gazebo to create a real special corner for such an important moment! You can see with your eyes the final result! 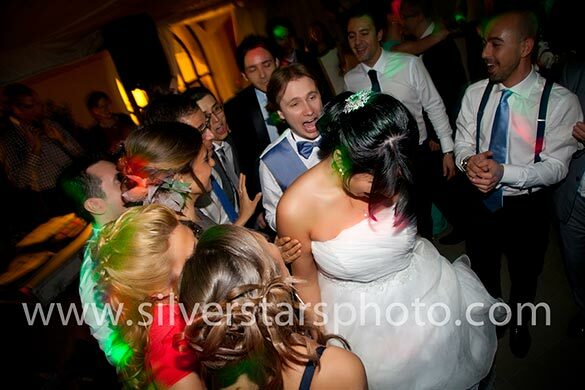 Party went on until later at night with dances, bar and little Italian pastries – we call them pasticcini and they are simply delicious just a little sweet bite! 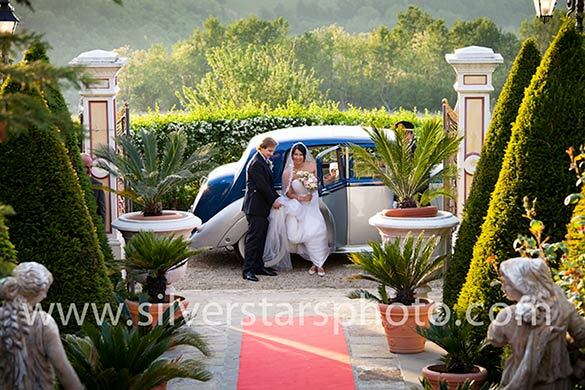 Alina Elena and Marco had surely a great day….they just fell in love with the villa. They stayed overnight and planned a brunch for the day after with friends… and you know what? They already got there other times for romantic week ends… well this is love!